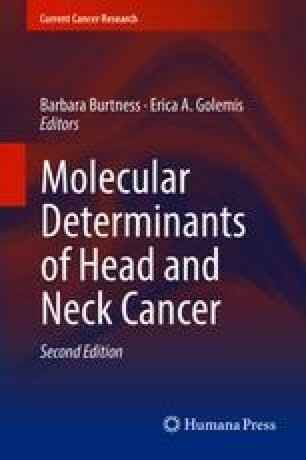 Hypoxia commonly occurs in head and neck squamous cell carcinomas and is associated with treatment resistance and poor patient outcome. The presence of tumor hypoxia can contribute to the protection of cancer cells from DNA damage induced by ionizing radiation and chemotherapy, with hypoxia also promoting alterations in tumor biology that enhance malignant progression. Significant effort has been devoted to abrogating the effects of hypoxia through approaches that include the modification of tumor oxygenation and the tumor vasculature. Recent approaches to improve therapeutic response have explored agents that can sensitize hypoxic cancer cells to chemoradiation or directly cause hypoxic cell death. However, these approaches have had limited success. There is significant clinical need to identify an appropriate predictive biomarker to select patients with tumor hypoxia that will benefit from hypoxia-modifying approaches.